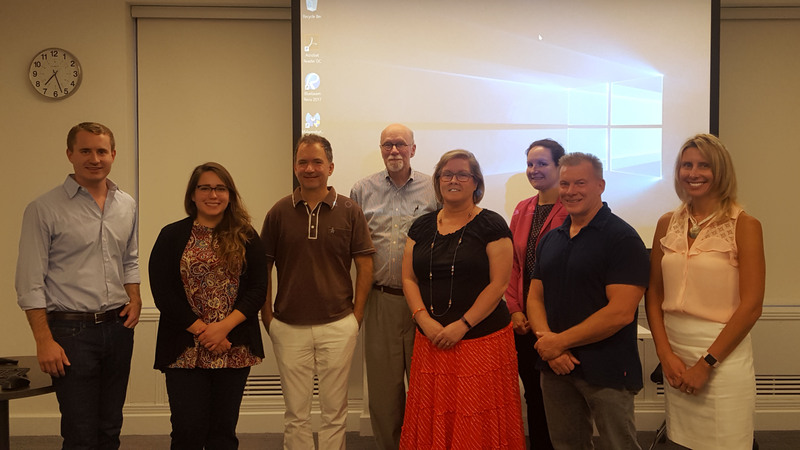 Last night, APT Western Great Lakes Chapter (APT WGLC) hosted Pecha Kucha night, with presentations on a variety of preservation related topics representing many perspectives. Pecha Kucha presentations are 20 slides total with a set time of 20 seconds per slide. The format makes for interesting, quick hitting presentations. K&H Associate I & APT WGLC Member, Allison Toonen-Talamo delivered a presentation titled ‘Millennials in Preservation’ which included statistics on college graduates entering the industry, the importance of hands-on applications & exposure to the work environment in the field, and examples of enhanced landmark buildings after rehabilitation and its impact & utilization in the communities. David Sacks, VP of APT hosted the event. Other presentations included Neal Vogel, Mike Jackson, Krista Gnatt (Western Specialty Contractors), Kim Lis (WJE), Susan Turner (Bailey Edward), Jeff Berglund (Berglund Construction), and Serge Ambrose.